2016 marks 150 years since the birth of Beatrix Potter, one of the world’s best-loved children’s authors, who has captured imaginations around the world with her beautifully illustrated tales. 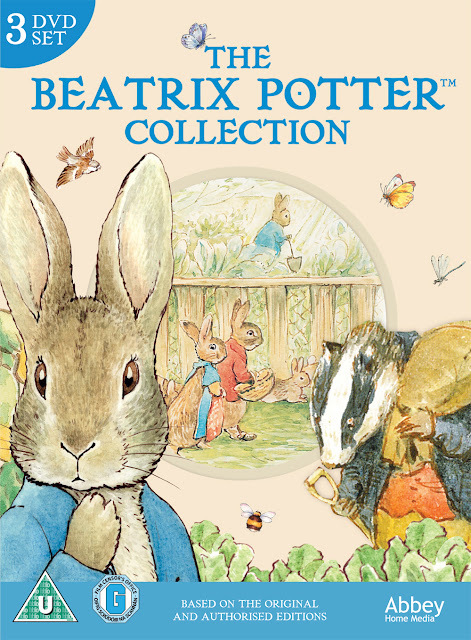 To help celebrate this significant landmark anniversary Beatrix Potter fans everywhere can now enjoy a special boxed set collection of stories on DVD – The Beatrix Potter Collection which is released by Abbey Home Media today, Monday 7th March! Based on the original and authorised editions, the stories feature the characters that have won the hearts of generations, and makes a perfect gift in time for Easter. 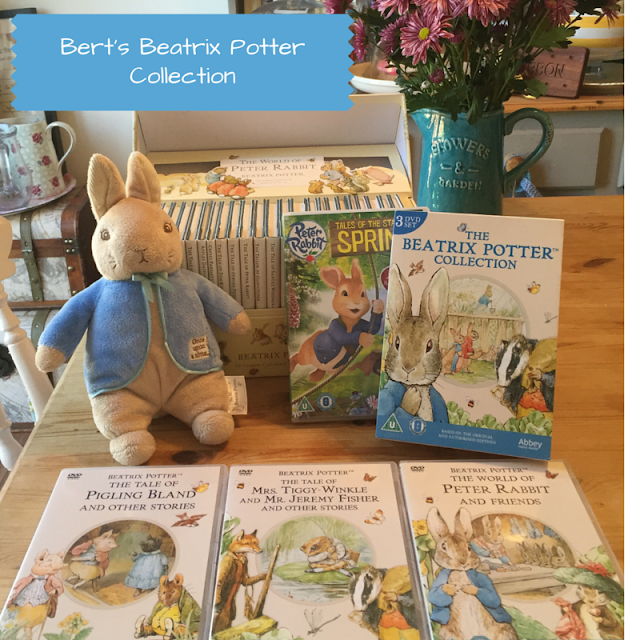 My little man is building up quite a Beatrix Potter collection! Bert and I were lucky enough to be sent an early copy of this DVD set and we've been watching it non-stop for the past week and half...Bert is already a huge fan of Peter Rabbit: he watches the new animated version on CBeebies as well as having copies of all of Beatrix Potter's books, and his own cuddly Peter Rabbit which was bought for him a newborn. He's really enjoyed these animated tales, and the real-people/real-animal interludes that run between (starring Niamh Cusack). I was especially chuffed to learn that it was these specific editions of the tales featured on the newly released discs, as I owned the very same version of The Tailor of Gloucester on VHS as a child and it was my absolute favourite! I must have watched the video hundreds of times! I still know most of it off by heart and so I found watching it with Bert really emotional. It bought back such strong memories from my own childhood...I was so pleased to see Bert enjoying the wonderful stories just as much as I had at his age. The new triple DVD has been especially handy this week as poor old Bert has come down with Chicken Pox and so we've been stuck indoors, riding out the Chicken pox storm...Beatrix Potter has kept us entertained and our spirits raised! 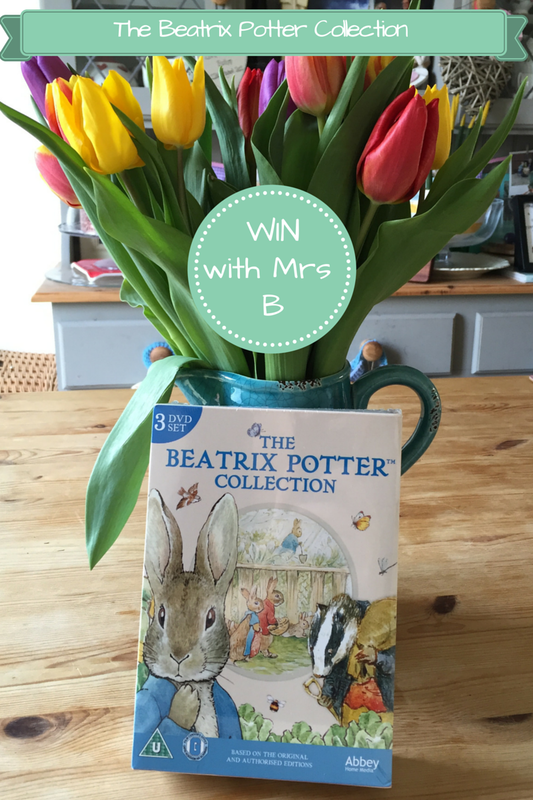 The kind people at Abbey Home Media have given me an extra copy of The Beatrix Potter Collection to giveaway to one of my lovely readers - so all you need to do to be in with the chance of winning your own copy is use the Gleam app below! I LOVE Mrs Rabbit, so calm and capable. 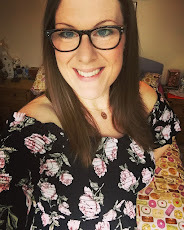 Mrs Tiggy-Winkle. Always been my favourite.